The Pet Gear Happy Trails Pet Stroller in Cobalt Blue is currently selling for just $71.00 on Wayfair.com! You will be saving 53% off the listed price of $149.95 with this pet deal. 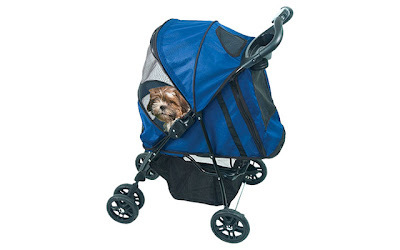 What a great way to take elderly, injured, or ailing dogs for a walk outdoors! This sale is only valid for a limited time, so do not wait too long to take advantage of this discounted price. See all the pampered pets deals I've shared for more ways to save!